EBSQ Tee - stand out! I created this piece with the words "Stand Out" in mind. I think as self representing artists we automatically do stand out above the rest. 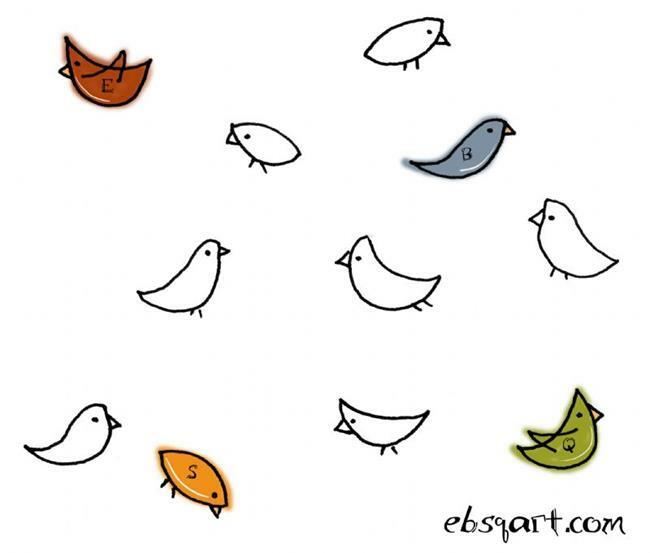 I used my little Swirlyville birdies to show the EBSQ colors with the initials in the birds as well. I think it's cute and fun and would look great on a t-shirt. Hope you do too!